DICE. Can you balanced yours servers? This is no normal what is constantly happening in the game. What is problem with balance servers? Constantly add to lose team with major defeat 500 vs 100 points(Conquest back is no solution). Constantly play one battle (32 vs 32) and continue empty server. Or worse problem with 18 vs 5 players. Yea easy leave game and search new. But this is it all around. When i pick random conquest waiting 1-4 mins on game. And add me to server where one round will be the same or add me to lose team with 10 ticket. End round and again problem empty server. Because why would people lose that way again.
. You add TOW frontlines task. But this game have problem with balance servers. Today i try 6 games(Frontlines) Task: 3 capture flags/point in round. One problem no peoples or random peoples vs premades clans. WTF .How can anyone accomplish this task if the game does not allow it because it will build unbalanced teams against each other? When we are constantly reskill on base. This is very funny every day to experience the same thing. 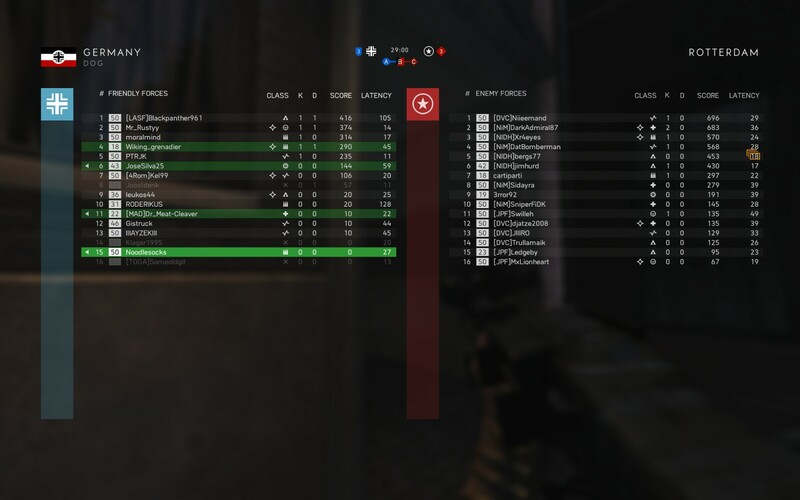 Why do I feel like DICE did not play the game. Join to ended game with 2-5 point and where I do not even spawn = lose to win/lose % continue empty server or unbalanced team. This is problem big problem. Who should have fun all the time leaves games and waiting in black quit screen and join new constantly. The problem would not be if it was a game of the hundreds. But is not . On a wholly related note; this was a server I happened to join today and promptly backed out of. yea this is problem what i mean. But this is not an isolated case it's almost always. And I m tired constantly leaves and joins servers. EA can't even get an equal number of players on each team.